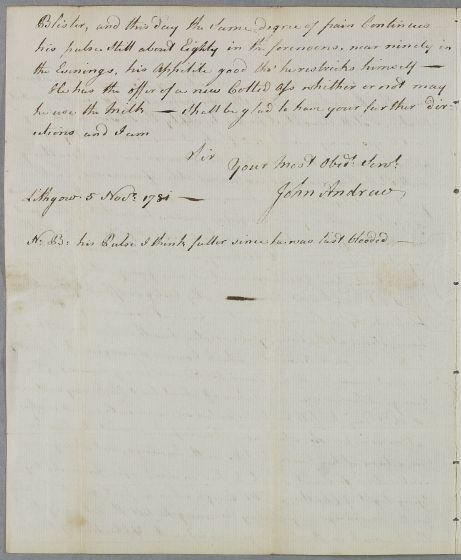 Letter from John Andrew, concerning the cases of Mr Shairp and Mr Livingston. 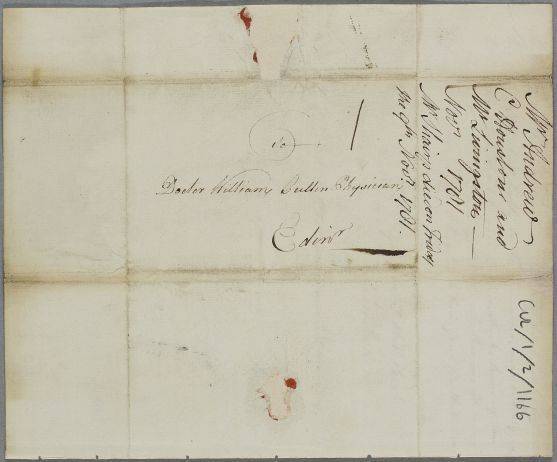 A note on the reverse states that Mr Shairp died on Friday 9 November, 1781. Handstamp is present but illegible. 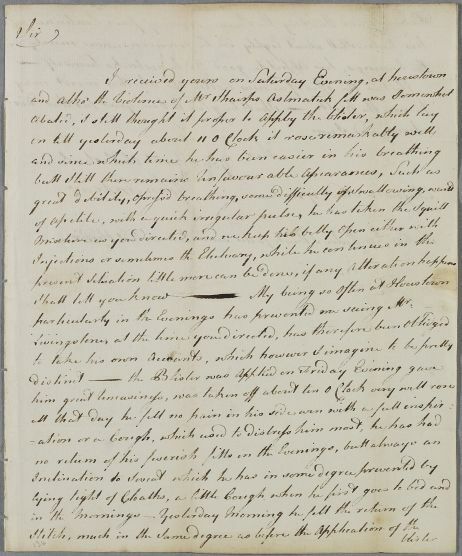 Summary Letter from John Andrew, concerning the cases of Mr Shairp and Mr Livingston. A note on the reverse states that Mr Shairp died on Friday 9 November, 1781. Handstamp is present but illegible. Case of Mr Livingston (Livingstone) who is suffering from severe headaches and loss of sleep. Case of Mr Shairp who has a 'gravelish' complaint, but then starts to suffer fits of asthma and feverishness. particularly in the Evenings has prevented me seeing Mr.